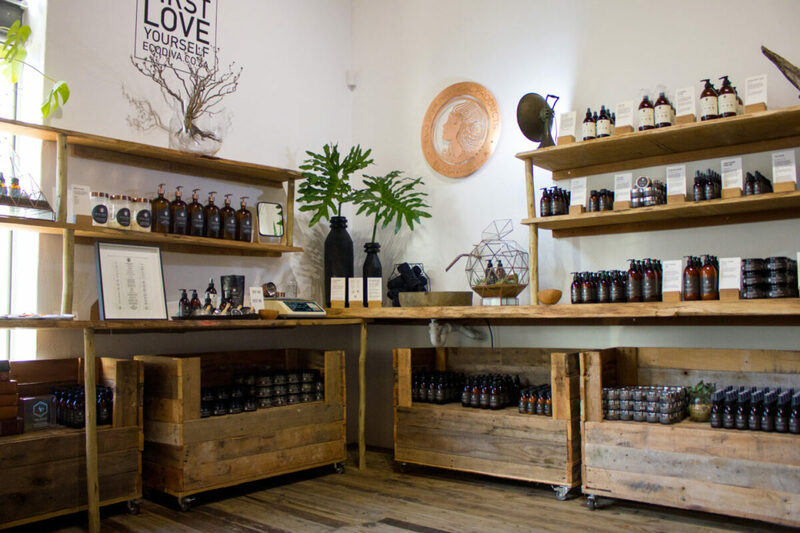 It would come as no surprise to anyone that knows her that Nicole Sherwin is the founder of a natural, clean beauty brand. The child of a homeopath, Nicole’s lifelong passion has been health and wellness. During her five-year stay in Los Angeles, Nicole started a carbon-neutral event, The Green Lounge Experience and Symposium. It offered all things healthy, eco-fabulous and environmentally conscious. Ironically though, while she was there, she suffered from mercury and lead poisoning. She had to radically detox her body and lifestyle. On her return to South Africa in 2015 she became the editor of Simply Green and soon after, was invited onto SABC3’s Expresso Morning Show as the Eco Diva, a cosmetic chef. Soon thereafter Eco Diva was born. 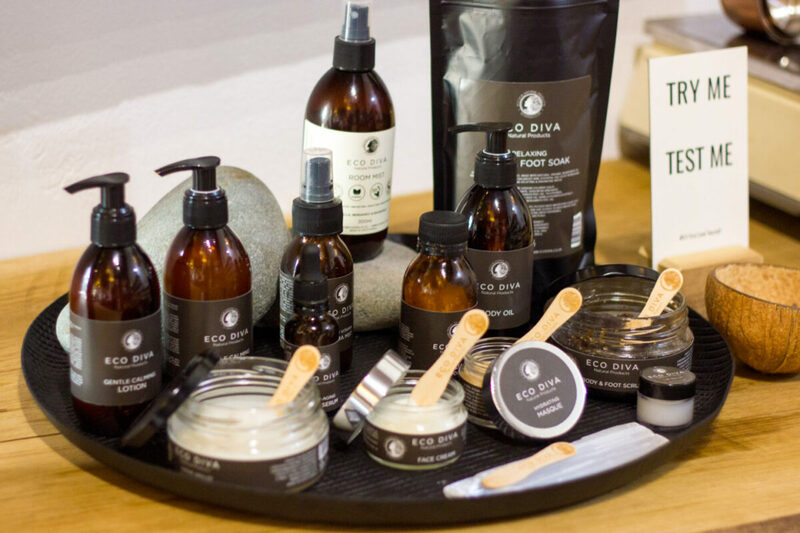 The brand is 100% natural, using organic ingredients, no chemical nasties, cruelty-free, vegan, eco-friendly and proudly South African. For two years on Expresso Morning Show, I experimented and created natural recipes live on the show. Viewers loved the recipes and kept asking where they could buy my products. So I took my top 10 recipes to two different biochemists and worked with them in eco-certified and cruelty-free laboratories to formulate products. Then, over a four-year period, we tested these on human skin (we are vehemently against animal testing) until I felt ready to launch the brand and products. The products have been matched to the skin’s molecular structure. 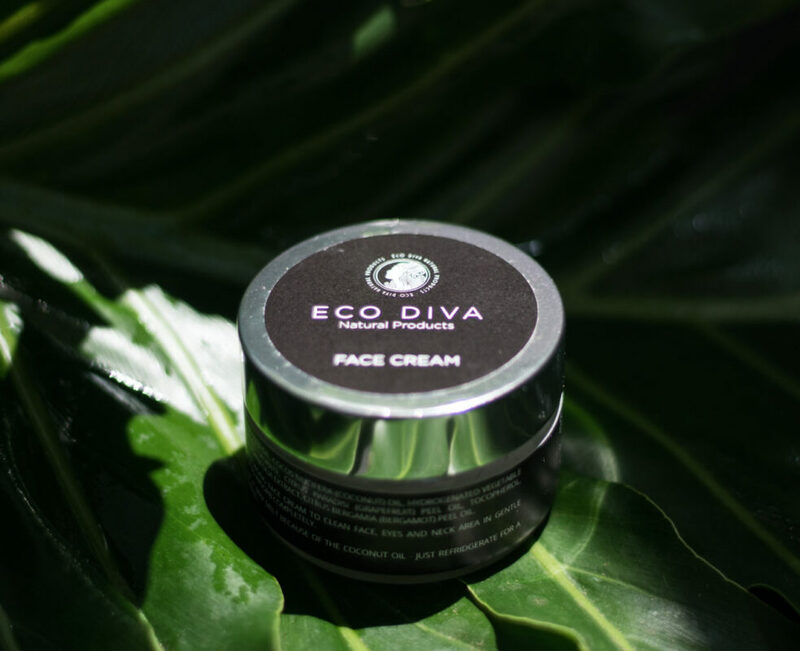 This means that the skin recognizes the symbiotic ingredients, then absorbs the nutrients, vitamins and hydration it needs to allow the skin to continually heal and renew itself, naturally. Offering glowingly healthy skin, always. 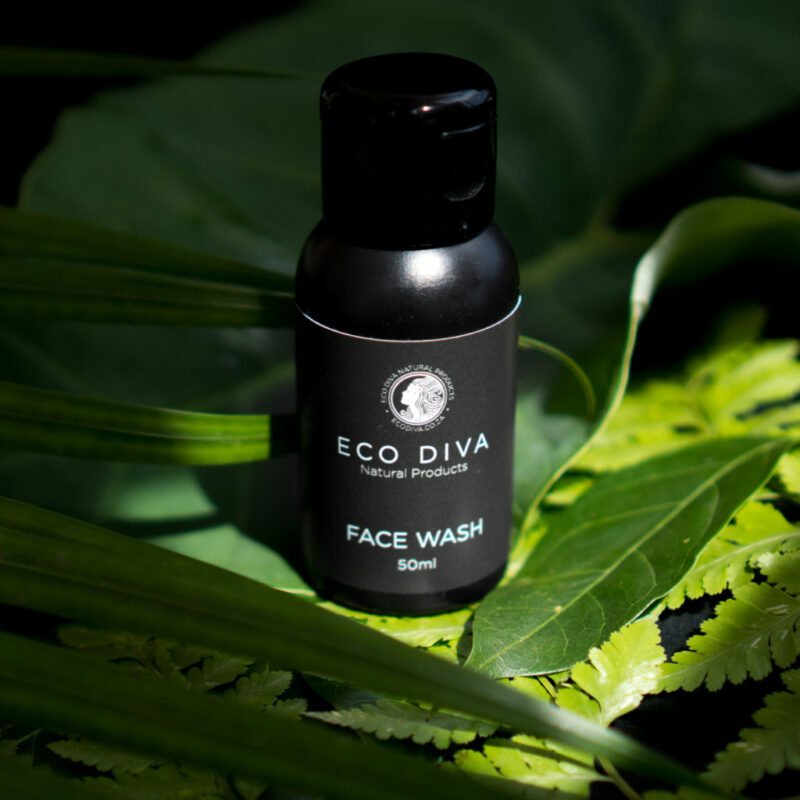 The Eco Diva range is for all skin types – from babies to grownups and to in-between teenagers. The ingredients chosen have active collagen-boosting properties, anti-aging properties and have naturally occurring UVA and UVB protection, perfect for everyday use (not for lying on the beach for hours though). I wanted to create a brand I could be proud of. 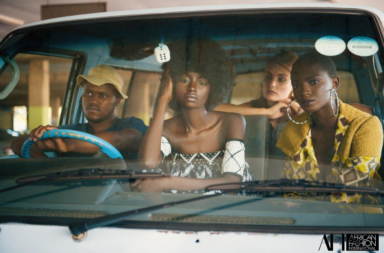 It had to tick all the right boxes: 100% natural, unisex, for all skin, containing certified organic ingredients, no chemical nasties, cruelty-free, vegan, eco-friendly and proudly South African. All our packaging, printing and stationary is eco-friendly and we also offer a refill station located in our emporium in Cape Town. Customers can bring their used Eco Diva jars and bottles back to be refilled or recycled for 5% discount. Our emporium has also been created with repurposed and reused natural woods and metals, live plants and terrariums, keeping the environment top of mind at all times. We now have 20 products in our range (17 skincare care products and three home products) but we are about to launch a couple of newbies, which we are very excited about. I like to eat clean and practice mindful eating which is all about being mindful of what your body needs for optimal nutrition and also understanding what doesn’t suit your body. I know that I’m healthy when I cut out sugar and gluten. Gut health plays a super important role in skin health. My diet is about 75% fresh organic veggies (lots of greens) and occasionally I eat fish when my body feels that’s what it needs. I also ensure I’m getting the best nutrition with supplements (like zinc, pro-biotics, vitamin B, super greens, selenium and omega 3s) to keep my health in tip-top shape. Always drink plenty of natural spring water to keep hydrated. For exercise, I love my yoga and pilates and ensure that I get out into nature for walks two or three times per week. Oh, and my secret weapon against ageing is The Tibetan Rites… My dad got me hooked on them. You’ll have to google what those are… but needless to say, they have changed my life. My father has definitely been the biggest influence on my life. 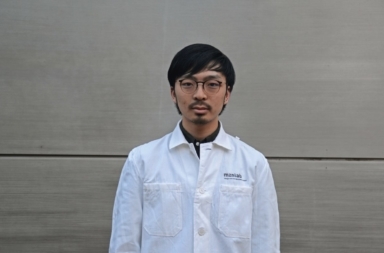 He was an alternative practitioner (homoeopath, naturopath, acupuncturist, health expert). I was raised as a vegetarian with a strong emphasis on health, animal rights, environmental wellness and how to heal the body and mind, naturally. He was so inspirational. Not only with health but with the sunniest outlook on life. Definitely a glass overflowing kind of human. If you’re starting out with a first time beauty regime, my advice is to become educated. Google the ingredients on all of your products. You’ll be shocked to find some scary ones that can be harmful to your health, let alone your skin health… and most importantly #FLY First Love Yourself. That’s our motto at Eco Diva. Self love rules. My skin care routine is based on the understanding that self-love is key to happiness. I have created a delicious skincare ritual based on a conscious self-care routine. Every morning I wash my face with our face wash, ensuring my décolletage (neck and chest area) are included. After drying, I spray our liquid vitamin hydra mist liberally over my face, neck and chest area, this gives skin an extra shot of vitamins. I then use about seven drops of our anti-aging face serum, followed by our face cream (the ‘Double Diva Glow’ effect). Both of these cover eye area. My skin feels truly hydrated and glowing. Once or twice a week I pamper with our ‘full-Monty’ at home spa treatment. 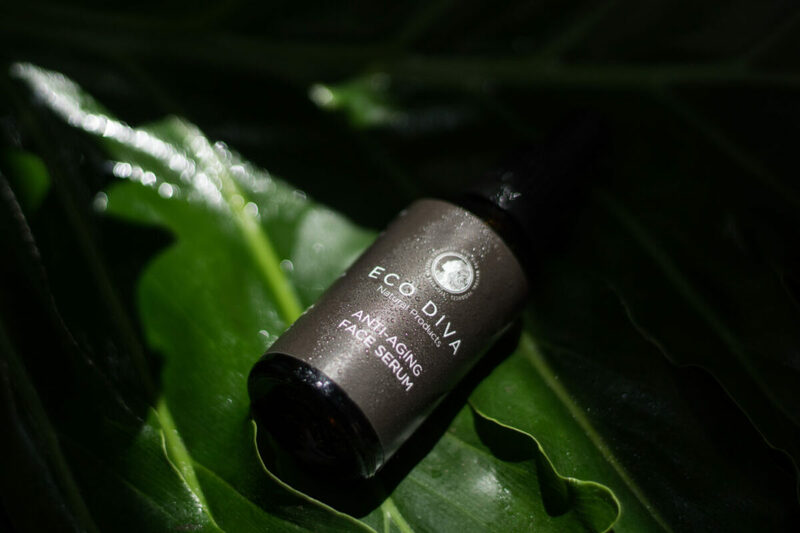 I wash, use our dry ecofoliant skin polish, hydrating masque and following that, I apply our liquid vitamin hydra mist and ‘Double Diva Glow’ (Face Serum and Face Cream). My skin glows like it never has before and I feel so much more confident. For my body I use our gentle calming wash and switch between our body oil and Crème Brûlée Body Butter. Once a week I also use our truly yummy Body Scrub to remove dead skin cells and revitalise skin. Our biggest sellers are our ‘Double Diva Glow’ (anti-aging face serum and face cream) and our crème brûlée body butter. But we will launch our Diva Glow shimmer butter in November which already has a waiting list. I have a feeling this new baby might surpass the other bestsellers… especially for summer glowing skin. If I were to be stranded on an island, the one beauty product I’d want with me would be our Crème Brûlée Body Butter… it really offers everything nutritious and hydrating.